The newest style in our 3-Way series features revolutionary transparent material designed to stay off your neck and collar for a low profile, comfortable fit. This style also features 2 sliders that allow you to adjust the retainer specifically to your liking. 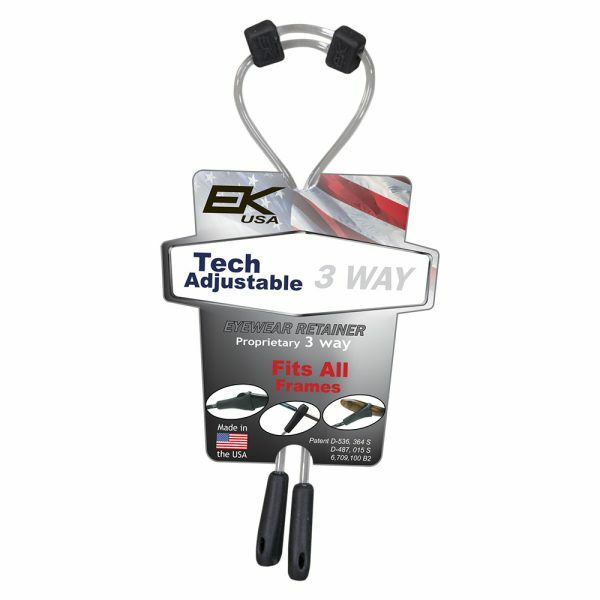 Our patented 3-Way end can be worn 3 different ways, based on your preference. Patent #D536, 364 S #D-487, 015 S #6, 709, 100 B2.